Yamaha has been building musical instruments for well over a hundred years, so they know a thing or two about acoustics. 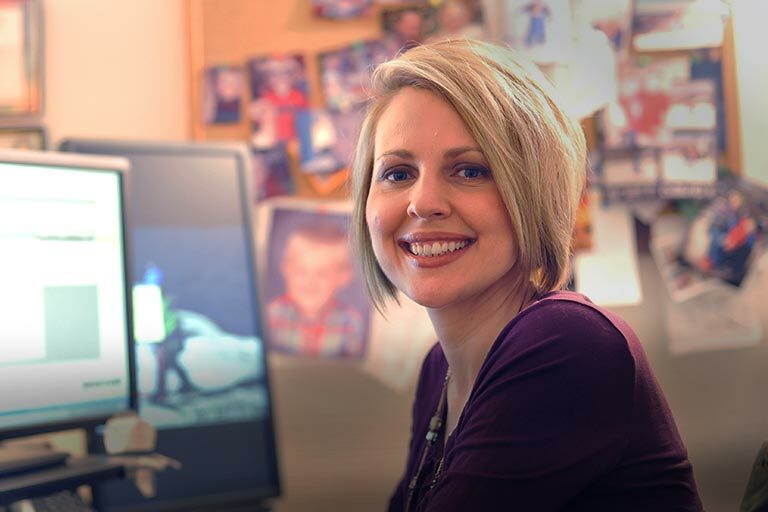 They used that knowledge and skill to design and build the DXR10 active loudspeaker. 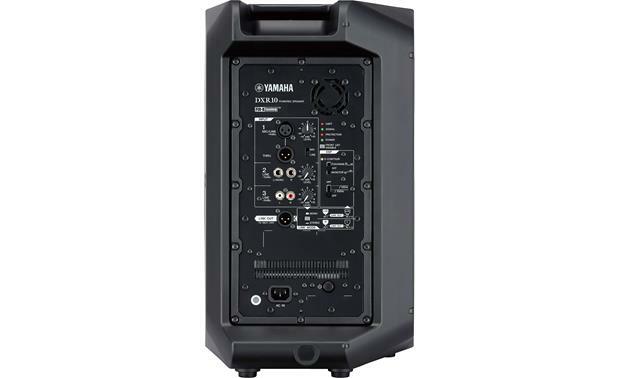 Each DXR10 speaker is a self-contained PA system, including high- and low-frequency drivers, amplifiers, digital signal processing, dynamic limiting, and a 3-channel mixer all mounted in a rugged, non-resonant, and lightweight ABS enclosure. 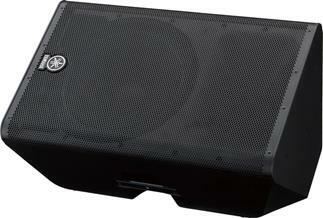 Each sturdy DXR10 cabinet houses a 10" woofer, a 1.4" compression driver, and 1,100 watts of amplification. 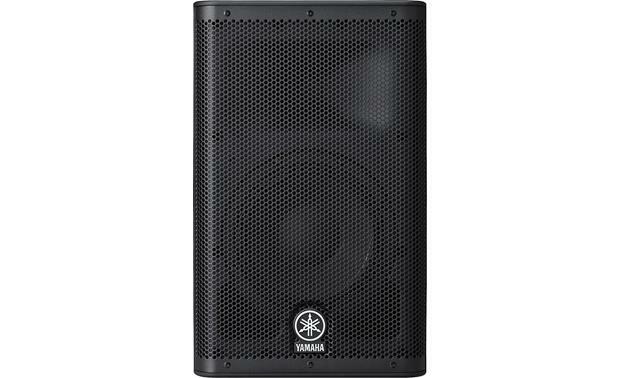 This compact and efficient speaker from Yamaha can produce astounding sound pressure levels — up to 131 dB. 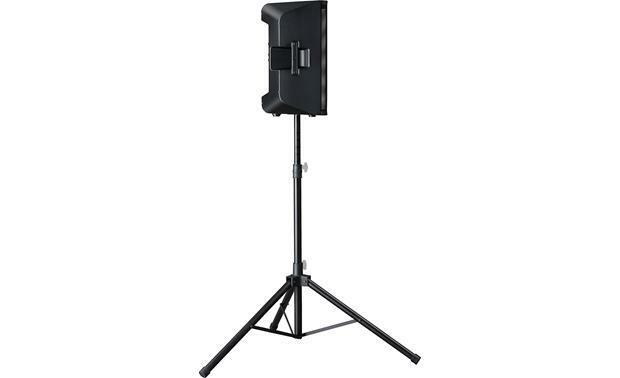 You can put a single DXR10 in a classroom, restaurant, or small auditorium, for instance, plug in a microphone, and talk through a compact and very portable public address system so everyone can hear you clearly throughout the room. 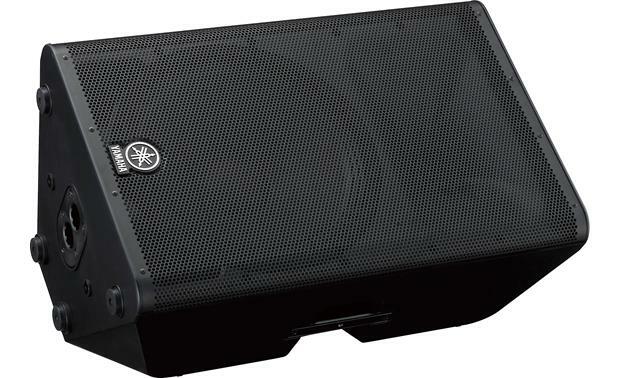 You can even play music directly from an instrument and your portable music player through this speaker. As part of a larger PA, a pair of DXR10s can deliver your performance with incredible power and clarity, at levels that everyone can feel as well as hear. You can set up the DXR10 as a stage monitor. 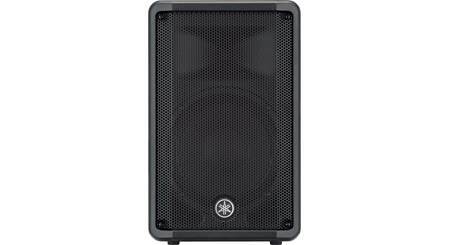 You can use your DXR10 on stage as a floor monitor or on a stand as a main PA speaker, and mounting options are available for permanent installations. 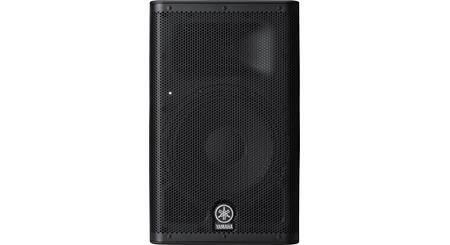 The "D-CONTOUR" selector enhances the bass and treble for permanently mounted or pole-mounted speakers, or reduces bass for stage monitors, where the floor would normally boost it. 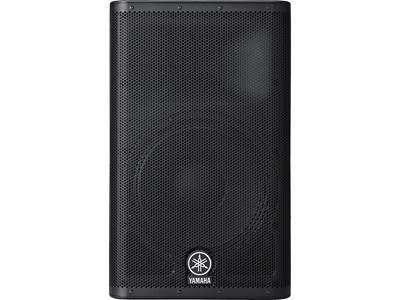 High-pass filters let you trim the low bass out of the DXR10 to maximize its performance when matched up with a Yamaha DXS12 or DXS15 subwoofer. 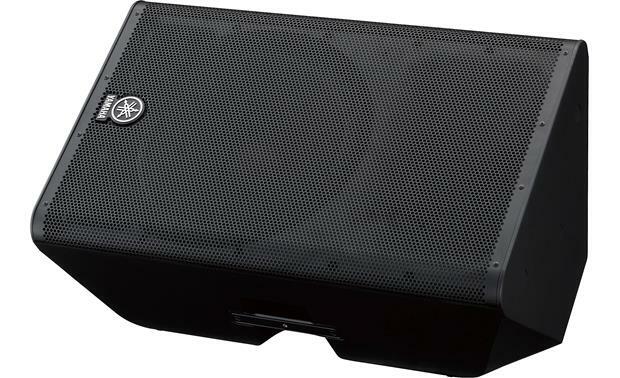 700W (RMS)/1100W (Peak) Class-D Amplifier: The DXR series speaker is equipped with highly efficient Class-D amplifiers that are optimally designed to match the DXR's HF (high-frequency) and LF (low-frequency) drivers. 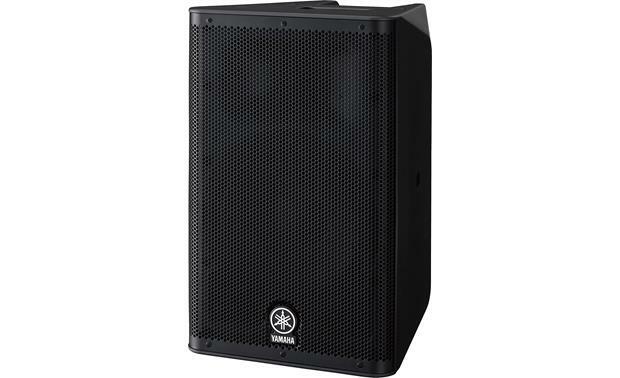 These high-performance amplifiers deliver the highest sound output in its class with 700W RMS (LF: 600; HF:100W)/1100W Peak (LF: 950W; HF:150W) of power, producing an impressive SPL up to 131dB. 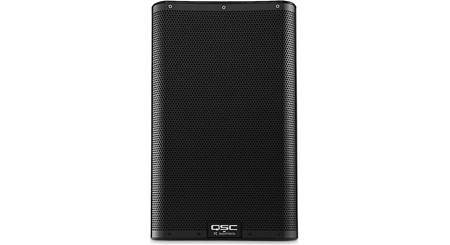 It also provides very fast attack and superior transient response, which greatly contribute to these speakers' incredible audio performance. Custom-Designed DXR Drivers: The DXR 10 uses drivers that were meticulously selected and thoroughly customized to deliver ultimate performance. The detailed characteristics and behavior of each driver was fully analyzed and evaluated with sophisticated computer simulations in order to help realize their full performance potential. The high power output 10" woofer delivers very low distortion and deep bass, while the 1.4" precision compression driver (tweeter) produces accurate midrange and high frequencies up to 20kHz. 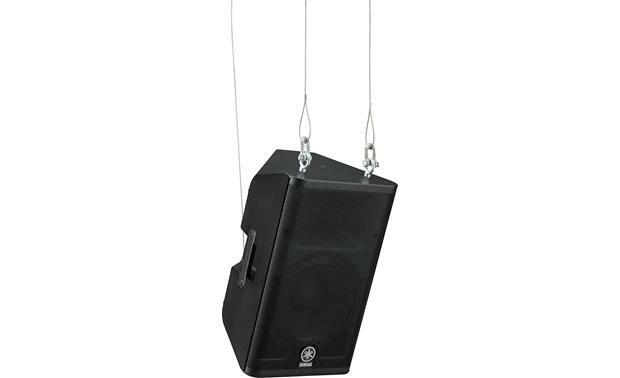 Mounting Options: Depending on the venue, sometimes your music mix can fall prey to low ceilings or other room attributes that can impede a clear, even mix and detract from the audiences' listening experience significantly. The DXR's dual-angle pole mount socket offers two positions (0°/7°) to direct the acoustic energy away from reflective surfaces and on to your audience where it belongs (SS238C tripod stand sold separately). 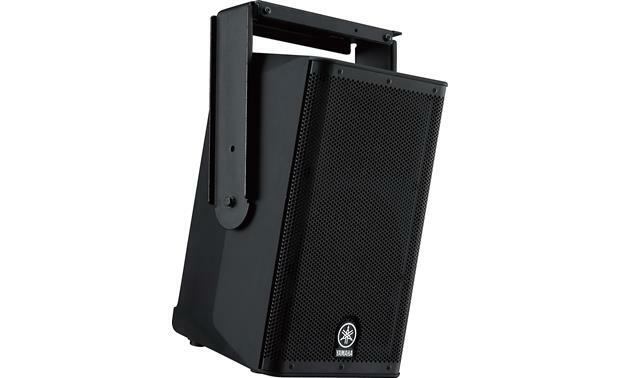 The DXR Series loudspeaker also comes equipped with rigging points (M8 x 15mm), allowing for rigged application with standard eyebolts (sold separately). When more versatility is required, optional U-brackets (UB-DRX10, sold separately) allow simple and easy rigging in both horizontal and vertical configurations. The DXR 10 can also be angled on its side when used a monitor speaker. 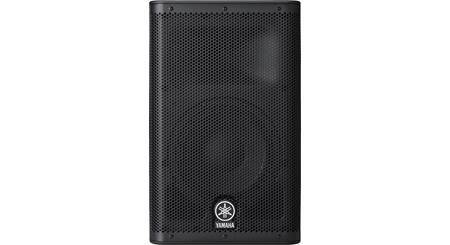 Searches related to the Yamaha DXR10 10" 2-way powered PA speaker — 1,100W peak.